Soil carbon – a climate change silver bullet? Taking action on climate change just got easier for Northlanders. This conference is the first broad based Northland initiative, creating diverse pathways for us to take action. Registrations are now open. Register here. Date and time: 9.00 a.m. to 4.00 p.m. Friday 8 June and Saturday 9 June (to be finalised). Venue Day one: Te Puna o Te Matauranga, NorthTec Marae, Gate 1, NorthTec, Raumanga Valley Road. The Minister for Climate Change, the Honourable James Shaw, will open the conference on the Friday. The conference is based on the Drawdown project led by Paul Hawken. Of his 80 solutions we have identified eight solutions, or clusters of solutions, most relevant to Northland. The links here provide more information about these solutions. 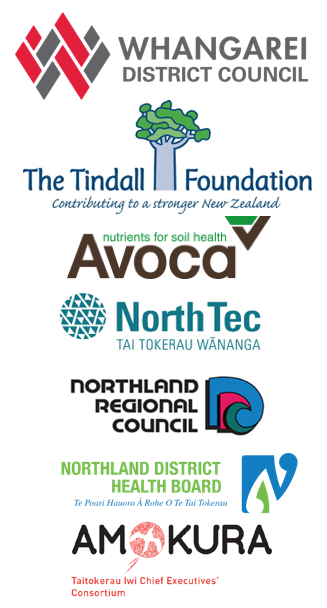 The conference is being organised by a team from the Northland Regional Council, Amokura Iwi Consortium Ltd., the Northland District Health Board and NorthTec. Thanks to our conference sponsors.